It hasn't even been eight years since Candida auris was discovered—cultured and identified from the ear canal of a patient in Japan—and now it's drug-resistant, setting up residence in hospitals, killing patients, and wreaking havoc across the globe. The yeast, C. auris, finds its way into patients' bloodstreams, favoring very sick patients, those who have a central venous catheter placed in a vein, and those who have previously received antibiotics or antifungal (yeast are single-celled fungi) drugs. It also likes to infect wounds and ears. Hospital outbreaks of C. auris infections have occurred in over a dozen countries. One particular outbreak in 2015 saw 20% of patients in an adult critical care unit in England infected with the microbe. As of February 3, 2017, 33 cases have appeared in the US, with 28 of them occurring in New York. 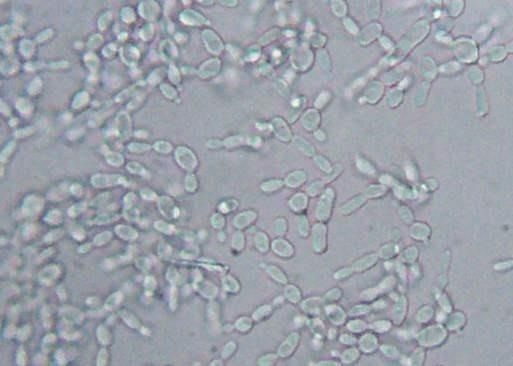 It can be hard for hospitals to tell if it's C. auris that's causing an infection; It's very hard to grow in the lab, and is hard to differentiate from other Candida yeasts, so special molecular laboratory tests are the only way to positively identify the yeast. And there's more bad news from this microbe. It's resistant to all antifungal drugs, "something we haven't seen previously," Dr. Cornelius J. Clancy, Chief of Infectious Diseases at the VA Pittsburgh Healthcare System, told NPR. So, the yeast is hard to identify, is a killer, and is resistant to all the drugs usually used to treat it. Can the news get worse? Yes, according to a new study in the February 2017 issue of Emerging Infectious Diseases—C. auris also forms biofilms, notoriously tough, slimy biologic films that are hard to eliminate. But, wait! There is some good news. The new study also found that the yeast is sensitive to topical application of the disinfectant chlorhexidine, so it can be used to kill off the fungus on skin and wounds. The finding that C. auris forms biofilms was particularly bad news because these slime deposits—made up of bacteria, microorganisms, and organic and inorganic materials—stick together and accumulate within a matrix called a slime layer. They can form on solid or liquid surfaces when nutrients and water are present, including on medical equipment and other surfaces. Biofilms are hard to eliminate and even harder to prevent from returning, which probably plays an important role in the success of C. auris infections of hospitalized patients. "The death rate after infection approaches 60 to 70%," Dr. Riina Rautemaa-Richardson, researcher at Wythenshawe Hospital in Manchester, England, told NPR. That number may be made worse by the fact that these patients also had other serious medical problems, like cancer, that may have contributed to their death, she said. In an effort to find something that would kill this beast, the researchers tested an assortment of antifungal agents to see if they would kill the microbes in the biofilm or the yeast on its own, as it would be on a wound. Caspofungin is usually effective against Candida biofilms, but it didn't touch the C. auris biofilms. Fluconazole was not effective against the yeast, and Voriconazole was slightly effective. Amphotericin B was more effective against C. auris biofilms, but chlorhexidine showed the greatest activity to inhibit the yeast's growth. The study therefore identified the antifungal chlorhexidine, a disinfectant commonly used to clean wounds, which could be used to inhibit C. auris on skin and wounds. Use of this disinfectant can be advocated for topical control of Candida auris at standard concentrations used for skin and wound cleansing and disinfection (0.05%–4.0%). They stopped short of recommending any particular antifungal to disinfect the C. auris biofilms, though. Infection-prevention measures targeting Candida auris biofilms in patients, on medical devices (e.g., equipment in contact with patients), and in the hospital environment will be required. Cyclohexidine may not be the magic bullet that's needed to stop C. auris infections from spreading in hospitals. But being able to disinfect it from patients' wounds may be enough to help some patients from getting this yeast into their blood and dying from the infection. Undoubtedly, the search is not over for an antifungal that will stop Candida auris in its tracks.